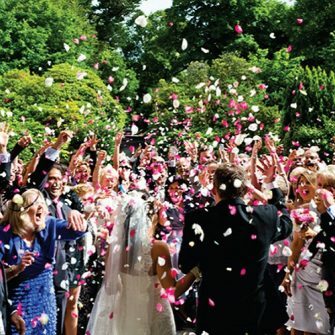 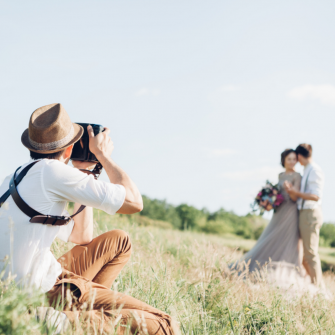 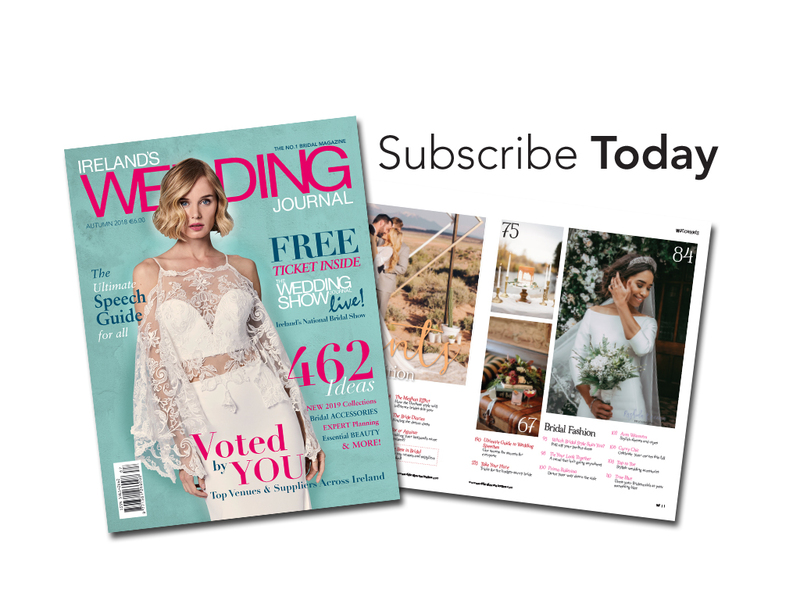 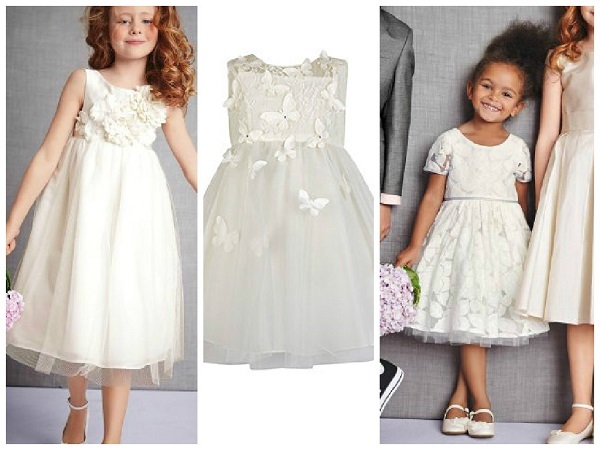 You’ve picked a page boy and flower girl to accompany you down the aisle, and now it’s time to choose what they’re going to wear on your wedding day. 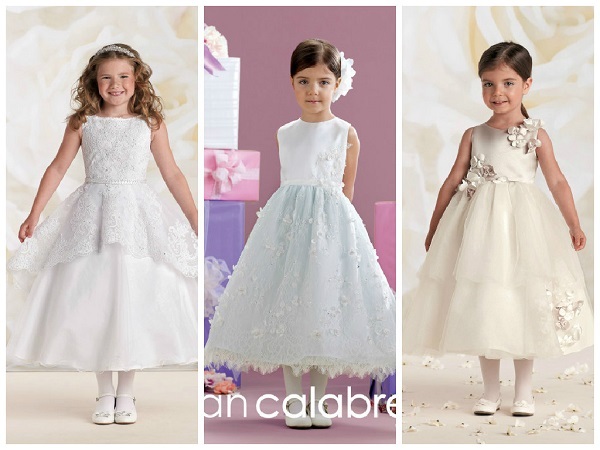 White and ivory flower girl gown will never go out of fashion, pale pink and baby blue are also popular choices for weddings this summer. 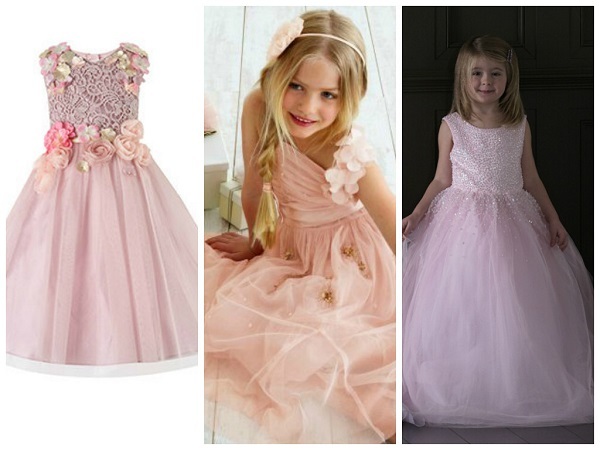 3D floral and butterfly embellishment is another major trend at the moment, along with tiered skirts. 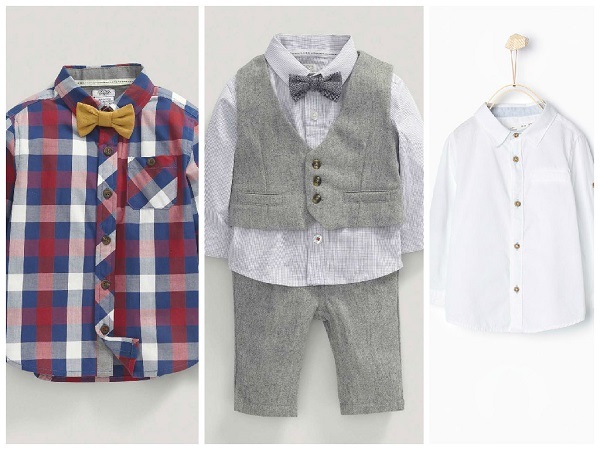 When it comes to dressing your little man there are lots of options; formal tuxedos are very in at the moment, as are grey suits and dickie bows, with other brides opting for a casual classic white shirt and no tie. 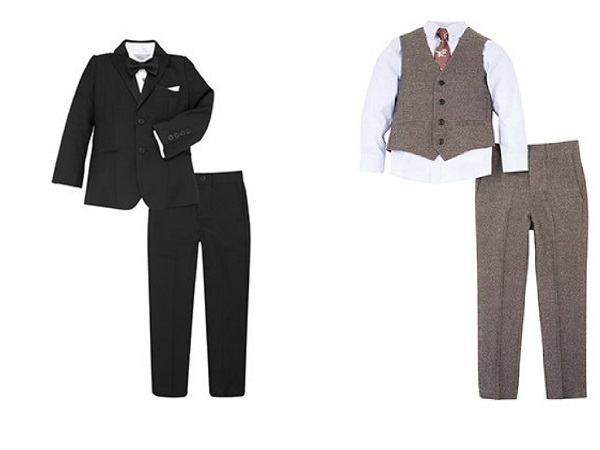 Tweed and brightly coloured check will be a big look for Autumn/Winter weddings. 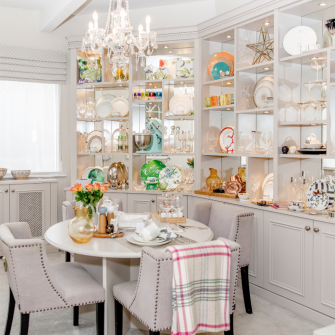 The good news is sale season is upon us and the opportunity to pick up a bargain. 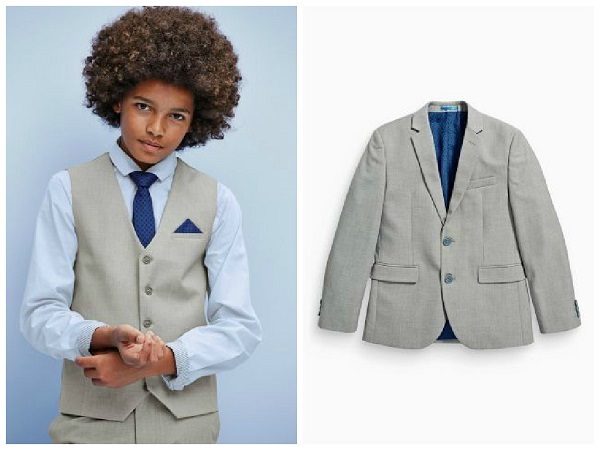 This boy’s tuxedo jacket pictured below available from House of Fraser, is reduced from £38 to £30.40, the boy’s suit jacket is also now selling for £30.40, and the blush Little Misdress is reduced from £52 to £36.40. 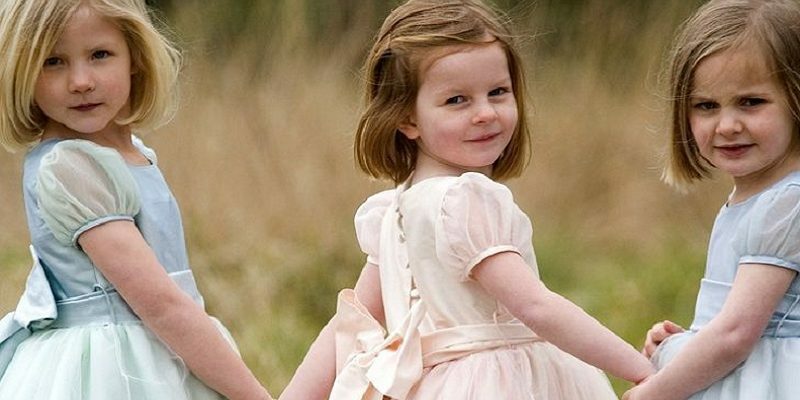 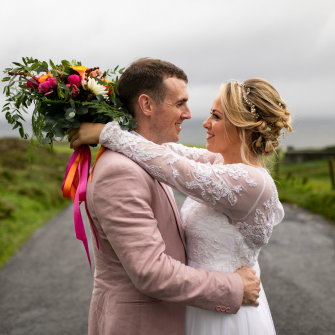 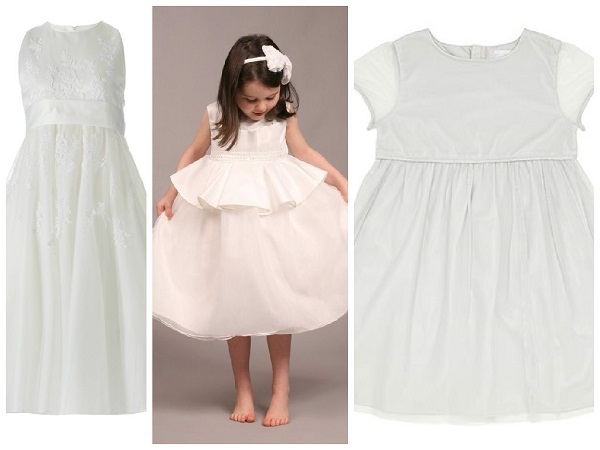 Dunnes Stores stock a gorgeous range of Paul Costello outfits, the pink flower girl dress pictured below costs £55, the white bolero is £30, and the white shirt is £19. 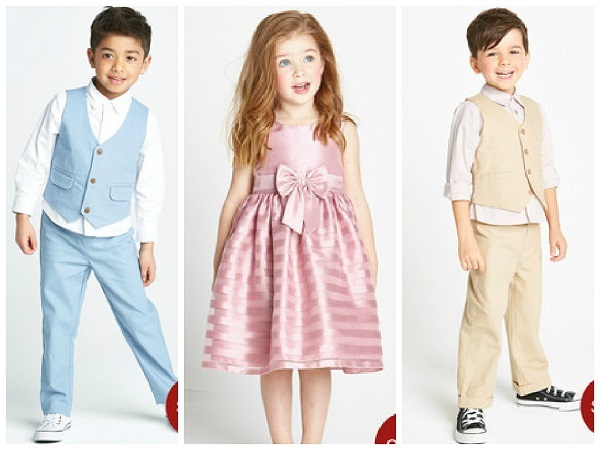 Serious bargain hunters should check out Littlewoods Ireland.ie for cute outfits at knockdown prices; this girls pink organza dress costs from €31 and the 3-piece boys linen suits cost from €24. 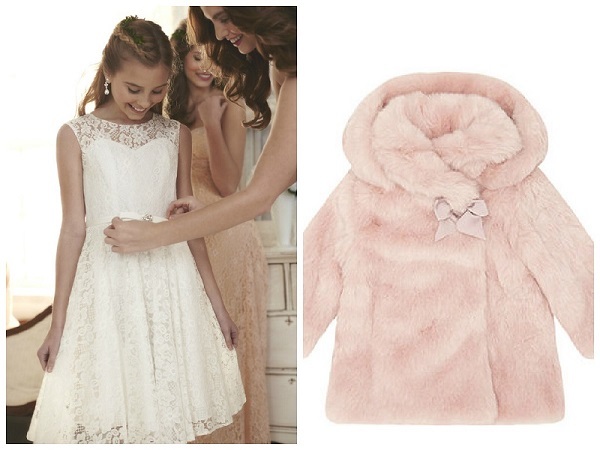 If you don’t mind spending a little extra, (after all it is a special occasion! 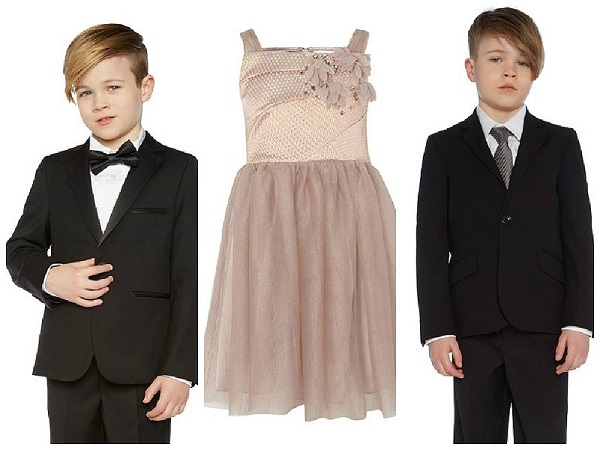 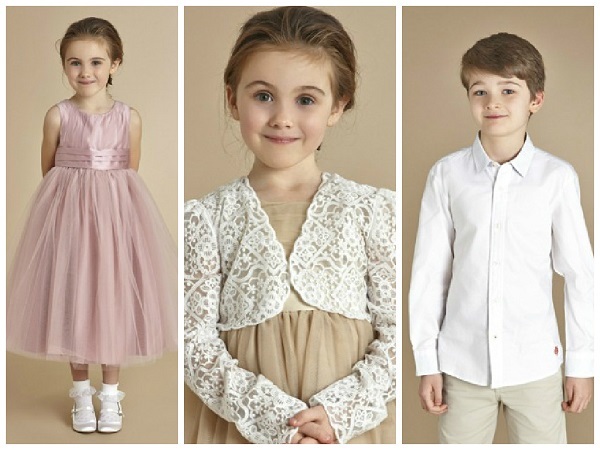 ), Alex and Alex stock a gorgeous range of kids occasion wear. 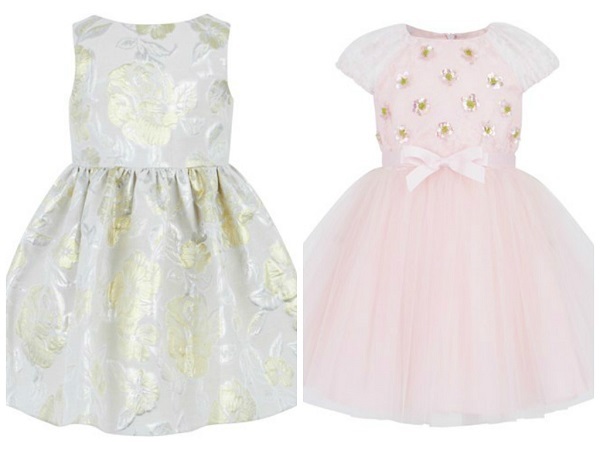 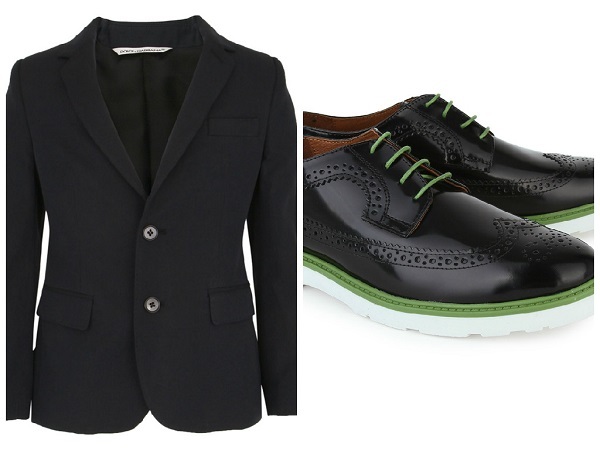 The gold and white David Charles dress costs £133, the pink tulle dress by David Charles is £133, the Dolce & Gabanna suit jacket will set you back £302, and the Paul Smith leather brogues cost £125. 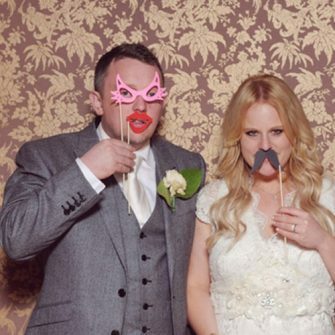 « 14 of the weirdest wedding dresses ever!